When the days get unbearably hot, most people rely on their air-conditioning system to keep their home cool and comfortable. But what if your air conditioner stops cooling your home during a heat wave? You’ll definitely notice the problem quickly. There are many common issues that can cause your air conditioner to work harder. 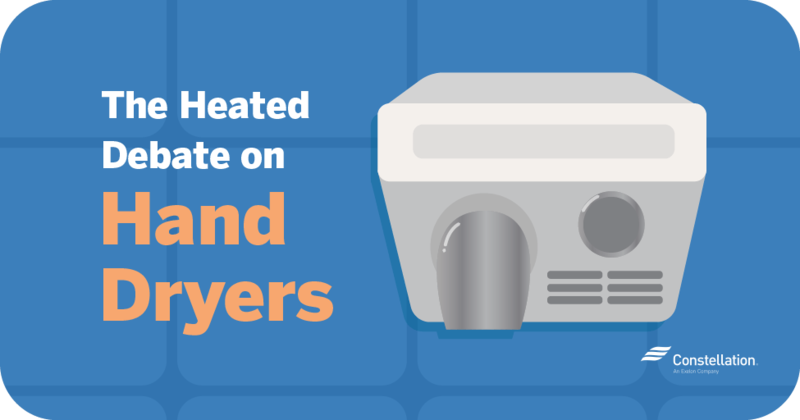 And to add on to your list of problems, A/C units that work harder often consume more energy. If your unit ever fails, retrofitting your air conditioner may be a potential option, but it’s possible to salvage your unit depending on the type of issue. Fortunately, many air conditioner issues are easy to diagnose and quick to fix, especially if you contact a professional. Why is your air conditioner not cooling your home? 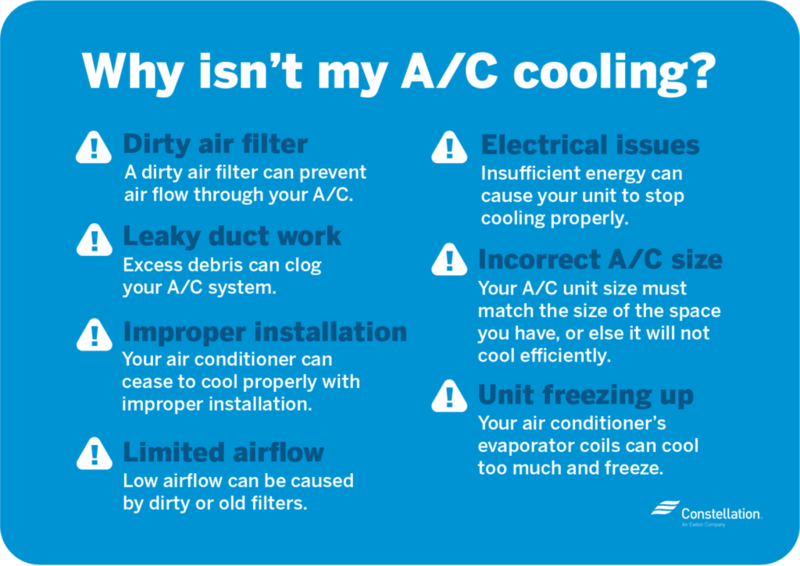 Improper installation, dirty filters and incorrectly sized AC units can all explain why your air conditioner isn’t cooling your house, and can often be explained by human error. 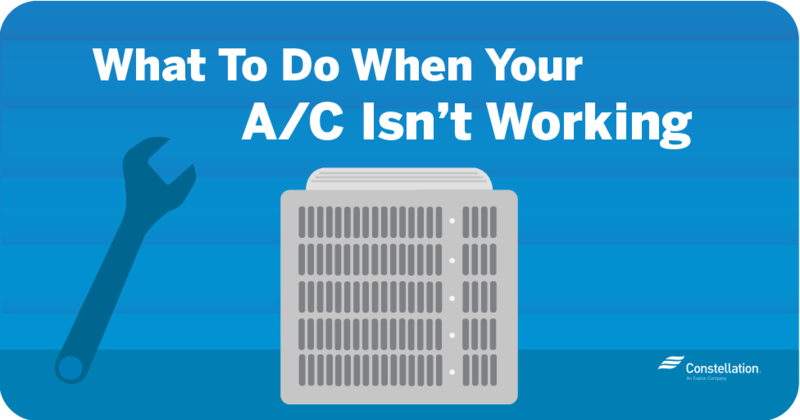 When troubleshooting an A/C unit that’s stopped working, look for some of these common problems. You have a dirty air filter. When fixing a central air conditioner that’s not cooling properly, your first step should always be to check the state of your air filter. The filters in your air conditioner prevent dust and debris from infiltrating your system and slowing down performance. If left unchecked, your filter can clog up with accumulated debris and force your unit to work harder or stop working completely. For this reason, knowing how to clean your air conditioner on a regular basis can prevent unnecessary damage from affecting your unit. Improperly installed or dirty ductwork can cause your A/C to stop working for the same reason as dirty air filters. To prevent excess debris from clogging your system, you can learn how to clean your air ducts, or hire a professional if you think your ducts are the reason your air conditioner isn’t cooling properly. Your A/C has improper installation. According to Energy.gov, improper installation often explains why an air conditioner ceases to cool properly. Mistakes made during air conditioner installation often result in sealant cracks, leaky ductwork and low airflow, all of which will cause your unit to work harder and waste energy. Your A/C has limited airflow. Limited airflow is often to blame when looking at A/C problems in your home. Often times low airflow can be caused by dirty or old filters, and the unit’s ductwork can also become clogged and reduce airflow without proper maintenance. Therefore, it’s important to regularly clean your air conditioner to clear out debris and improve performance. Note that it’s important to consult a professional HVAC technician if faulty parts within the A/C unit’s evaporator coil are what’s limiting your airflow. Your A/C has electrical issues. Electrical problems within your unit can cause your air conditioners to stop cooling properly due to insufficient energy. Regularly inspect your A/C unit for any signs of wear or tear. Compressor and fan controls can degrade over time, and thermostat sensors can be knocked out of position. Also be sure to have a professional check your A/C unit for any electrical connection concerns, including frayed wires and corrosion. You have the incorrect A/C size. If your home is getting too hot, you might need to consider the sizing of your air conditioner. In order to properly cool your space, the size and cooling capacity of your air conditioner unit must match the size of the space you are cooling. For instance, a small unit may work perfectly well for a tiny room, but in most cases it will be physically unable to cool a large space. For this reason, you should check your A/C size to make sure it meets your space requirements. You have a freezing-up A/C unit. Another common problem for air conditioners is that the evaporator coils might cool too much and freeze. If ice forms in your unit, it can cause problems by limiting airflow and cause other parts in the system to fail. An air conditioner clogged with ice can also have drainage issues, which can result in mold growth, increase stagnant water in the condenser pan and cause an unpleasant odor. Start with your air filters. Check the manual for your air conditioner to discover how often you should change the air filters. Regular filter changes help your air conditioner function at its most efficient. Some A/C filters can be cleaned and reused. Take out the filter, and use a vacuum to remove as much dust as possible. Rinse the filter with water to remove any remaining dust, but do not use detergent. Detergent can clog the filter. After rinsing, vacuum your filter one more time when it’s dry. If dust remains after cleaning your air conditioner then a new filter may be required. Check the evaporator coil in your A/C unit once a year for signs of damage. Straighten any bent coil fins with a fin comb—a tool specially designed to reposition the evaporator coil’s aluminum fins. For improved performance, the coil fins on your air conditioner can also be cleaned with a vacuum hose. It’s important to note that you should never spray the fins with water from your hose, as the pressure can damage and bend your coil fins. Check the sealing around window A/C units for cracks or holes where cool air could escape outside. If you notice any cracks, you can contact a professional for assistance or try to seal the air leaks yourself. 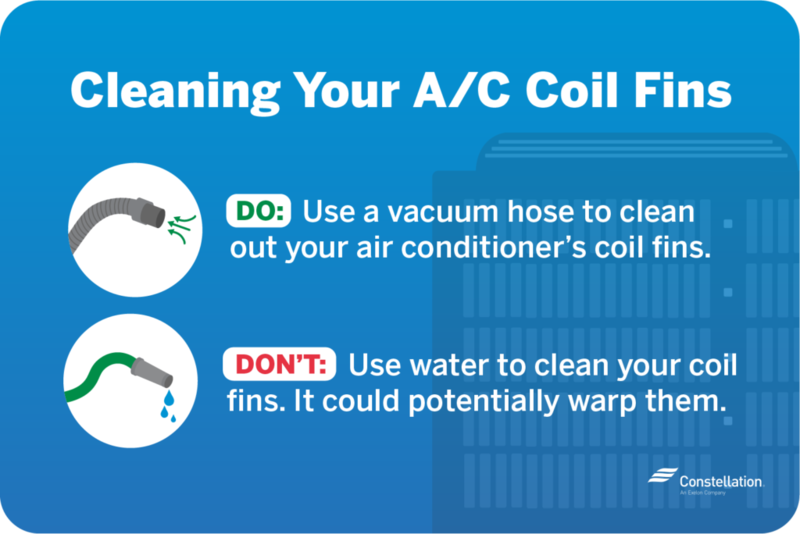 Clear out your AC drain channels. When inspecting an air conditioner that stopped working, look for your drain channels. Sometimes the drain channels in your A/C unit can become clogged by debris, which can cause a build-up of water. You can clean your drain channels by passing a stiff wire or plumber’s snake through the parts. This can remove any debris and clear out a path for any water that builds up. If you own a split-system A/C unit, part of your regular maintenance should include removing debris and leaves from the condenser, the fan and the compressor. To help with this task, try trimming plant growth back at least two feet from the condenser to help prevent additional clogging of your drain channels. You need to check the refrigerant in your unit. Always contact a professional when checking your refrigerant levels. Unintended contact with refrigerant can cause eye damage, frostbite, respiratory issues, skin irritation and cardiac arrhythmia. Trained professionals know how to measure, top up and gather refrigerant to ensure the substance is not being released into the atmosphere. You need to measure airflow through your evaporator coil. Properly measuring airflow through the evaporator coil requires special tools and training that only professionals possess. You need to inspect electrical components in your air-conditioning system or unit. Professionals can accurately check your A/C unit for its electrical control sequence and electrical terminals. They can also clean and tighten loose connections, and apply non-conductive coatings to improve performance. Your thermostat is malfunctioning. HVAC technicians can confirm the accuracy of thermostat readings and know how to make adjustments as needed. Sometimes, you fall in love with the perfect home, but when you move in, you’re left questioning “why isn’t my air conditioner cooling?” In this scenario, an older unit may be outdated and insufficient, and could be causing you wasted energy. In this instance, retrofitting your air-conditioning may be your best bet for energy improvements. What does “retrofitting” your A/C mean? Retrofitting your A/C means improving the energy efficiency of your unit by making improvements or upgrades to the existing components. A retrofit can take many forms, from adding insulation, adding a basement to an existing home or installing energy-efficient fans. To retrofit air-conditioning means you are opting to forego traditional window units and instead add central air-conditioning. Deciding to skip the hassle of individual window air-conditioning units for the ease of central air-conditioning might seem impossible. The good news is that you can retrofit central air-conditioning in your home without running up significant expenses. Here’s what you need to know to see if your home can be retrofitted for air-conditioning. Retrofitting air-conditioning is more complicated under this scenario but not impossible. Depending on your home’s floor plan, you could install new ductwork if there is space in the basement. Warning: This can get pricey. This Old House estimates adding central air-conditioning to a 2,000-square-foot house with existing forced-air heating can range between $3,500 and $4,000, and adding the cost of installing ductwork can double the price. Ductless air conditioners are an alternative solution for any home. A ductless system, also known as mini-split, uses an outdoor air compressor and indoor air handlers so you can set up different cooling zones. 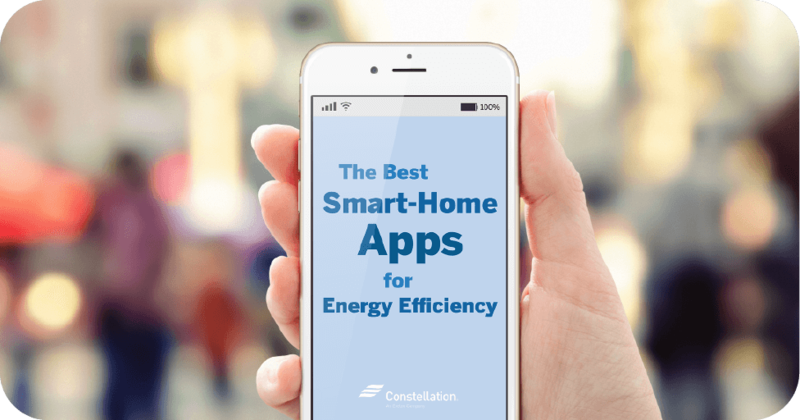 Homeowners can retrofit air-conditioning by snaking small, flexible ducts through existing walls and ceilings, a procedure that’s substantially less invasive than using standard ductwork. An inefficient air conditioner can make summer a sweaty, uncomfortable time. With these tips in mind, you can fix or retrofit your air conditioner and enjoy your home! And knowing how to fix an air conditioner that’s not cooling can help you beat the heat while saving money on energy costs, and increase the working life of your A/C. Here’s to a relaxing, cool summer!